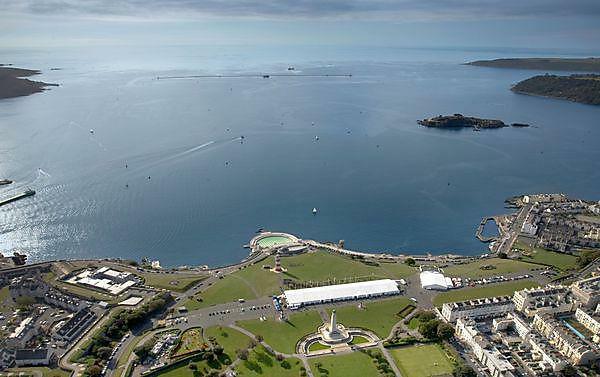 The event will look at how people’s activities and behaviour impacts upon the quality of the water in Plymouth Sound, and compare it to the situation 20 years ago. It will also consider levels of radiation in the English Channel and Tamar Estuary and the presence of metals in the River Tamar. Paul McNie, Environment Manager, and Jules Florey, Operations Scientist, at South West Water, will open the lecture with a look at how behaviours of people living and working in Plymouth affects water quality. They will also provide an overview of regulatory responsibilities and the impact of investment in the assets that discharge into the Plymouth Sound. Geoff Millward, Emeritus Professor of Marine Chemistry, and Deputy Technical Director of the Consolidated Radio-isotope Facility (CORiF), will then consider the sources of discharge, the distribution and doses of radiation across various sites in the English Channel. Professor Millward will also focus in particular on how tritium enters the water system at Devonport, and comparing the levels that come from natural and artificial sources. Finally, Dr Sean Comber, Associate Professor in Environmental Chemistry, in the University’s Biogeochemistry Research Centre, will pose the question as to whether metals in the Tamar River and associated estuaries prove any cause for concern. In doing so, Dr Comber will consider the legacy of the Tamar Valley’s mining history, and how water quality compares against new environmental quality standards. “The waterways and sea around Plymouth and the South West region are one of our most important assets. They provide a home for rich marine life and a hub for marine leisure activities, drawing in thousands of tourists from across the country and the world. The event, part of a biannual series, will be held on 12 November at 6.30pm in the Devonport Lecture Theatre, in the Portland Square Building. It is free for members of the public to attend, and there will be a chance to ask questions of the speakers at the end.